Good adhesive oval laps. 25 x 64 mm. Low profile plastic strong hooks. Transparent color. 120 pieces on a roll. 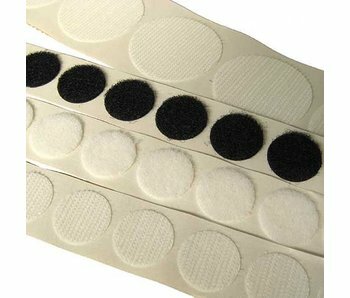 Self-adhesive hook and loop tape rounds are quick and easy fix on almost any flat and clean surface.